An intense well structured wine, with depth, balance and length. 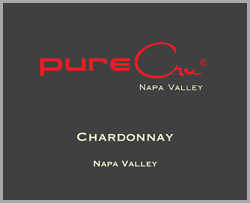 This Chardonnay is more true Burgundy style that has a citrus, raw honey and mineral notes in the nose that will open up and show flavors of honeysuckle, pear, pineapple, honey with a hint of vanilla and a long complex finish. It is a “red wine drinkers” – white wine. The wine was barrel fermented and aged in specially made French oak Burgundy barrels designed for winemaker Mitch, styled Chardonnays exclusively for 14 months, 40% new. There is no malolactic fermentation, so this wine retains its bright natural acidity and as a result will age for many years.